In its “Salute to VA Residents,” Colonial Williamsburg is offering Virginians the opportunity to purchase a Single-day Ticket that grants admission for the remainder of the year. Enjoy the Revolutionary City in bloom this spring and return later this year to take advantage of new art exhibitions, lectures in the Colonial Williamsburg Speaker Series, or experience our Grand Illumination celebration. With an exciting lineup of seasonal events for 2013 and exclusive discounts on carriage rides, tours, and evening experiences, you’ll have the perfect excuse to come see what’s new in America’s birthplace. Offer available to all Virginia residents until May 31, 2013, including active-duty military stationed in Virginia. Proof of residency and/or eligibility required. This pass is nontransferable and expires December 31, 2013. No other offers or discounts apply. I’m not sure if you have to visit at least once by May 31, or just purchase by May 31. Regular price of an annual pass is $63.95 for adults. If you only want to visit for one day, it might be worth waiting on another Groupon offer to show up. 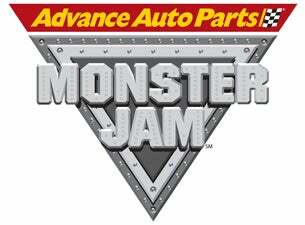 The Advance Auto Parts Monster Jam is coming to the Richmond Coliseum this Friday & Saturday, March 1-2. Tickets start at $20 (+fees) for adults and $5 for kids 12 and under. The best deal for 2 adults is using code TMN241 to get “2 for 1” tickets online through Tickemaster (After fees, it works out to $16.60 per ticket). Or you can use code DIGGER to save $5 on adult tickets. Purchase by February 28. A few of the trucks will be at locations around town this Wednesday and Thursday – check out the schedule here. The Richmond Bridal Showcase will be held Sunday, January 13, 2013 from 11am-5pm at the Greater Richmond Convention Center. Tickets are $10 at the door, but you can buy them for $5 online with Richmond Bridal Showcase promotion code “RTD”. The pages of your favorite bridal magazine come to life on our runway stage. See beautiful bridal gowns, unique bridesmaids dresses and formal wear by the Richmond area’s leading retailers. Chat with Richmond’s friendliest and most trusted wedding professionals. See their work up close. Share your dreams and expectations. It’s the easiest way to shop and compare all of your options. Browse amazing displays of flowers, cakes, photography, bridal gowns and tablescapes in gallery setting. No pressure or salespeople, just great ideas and inspiration. It’s like Pinterest, but live! Looking to save money and give your wedding a personal touch? In our DIY Workshops, you will discover practical tips and unique ideas. 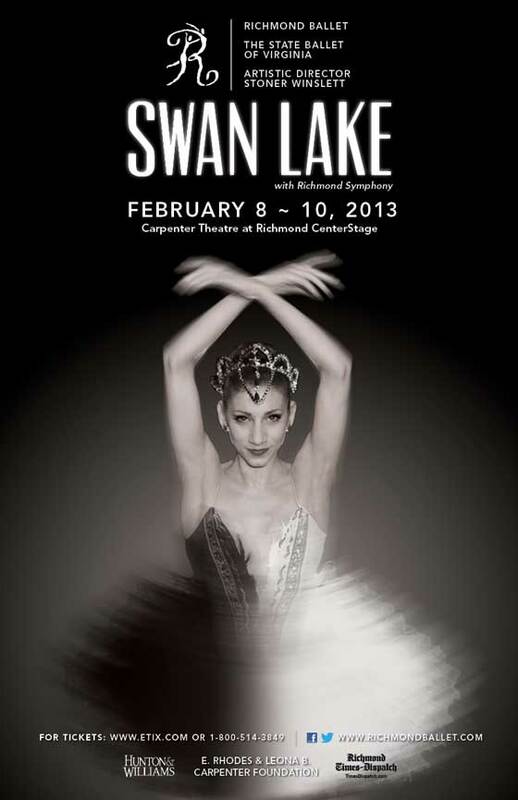 Save 15% on select tickets to Richmond Ballet’s performance of Swan Lake February 8-10 with code PRINCESS. Tickets can be purchased online through Etix.com or by phone at 1-800-514-ETIX (3849). Discount valid until 1/11/13 on price levels 2-5, cannot be combined with other offers, and is not valid on previously purchased tickets. For many, Swan Lake defines the very art of ballet: the lush Tchaikovsky score, the moonlit images of impossible grace, the story of magic, mystery and transformation. In the tradition of ballet passed down from choreographer to dancer, generation to generation, Richmond Ballet’s production of Swan Lake shares lineage with the definitive 1895 staging by the legendary Marius Petipa: it was set on the company by Nicholas “Papa” Berizoff, who learned the Petipa version directly from a student of Petipa. Swan Lake, choreographed by Nicholas Berizoff with music by Peter Ilyich Tchaikovsky, will be at Carpenter Theatre at Richmond CenterStage February 8-10, 2013. Planning camping or cabin stays next year? Or looking for a gift idea for someone who loves the outdoors? Virginia State Parks bargain alert! Today (12/17/12) through December 21, save 20% on any Virginia State Parks gift certificate purchase. The certificates don’t expire, can be purchased in any amount, can be used over multiple purchases (per the reservation agent I asked), and can be applied to Cabin rental, Camping, Boating or Equestrian Pass, Parking Pass or Shelter rentals (source). According to Facebook, the certificates can also be combined with the 20% off last-minute cabin reservations the VA State Parks sometimes offers. Call 800-933-7275 (extension 5) between 9am and 5pm to purchase, or if you have questions about the certificates. Offer not available online. If you’re in the market for a 2013 Entertainment Book, today’s your shot to get one for as little as $12.50 net cost, shipped. Richmond Entertainment Books are on sale for $25 with free shipping. To get one for half that price, shop through cash back site Ebates.com, which is offering 50% cash back on Entertainment Books for Cyber Monday. 2. Search for Entertainment.com on Ebates. 3. Click the link provided to be taken to Entertainment.com – this allows Ebates to track your purchase and credit your cash back. With the $12.50 in cash back, the final net price of a book is $12.50, the best deal we will likely see on Entertainment Books til at least spring. If you are shopping other online stores for Cyber Monday sales, definitely check Ebates for cash back offers to those places as well – today Walmart has 5% back, Kohl’s 8%, etc. Note: I do receive a referral bonus if you sign up for Ebates through my link and make a purchase. It’s a site I highly recommend and use frequently to save extra on my online purchases! Richmond Ballet – With 13 performances in the grand Carpenter Theatre, there’s a magical Nutcracker moment for everyone. Share the fun of the Mouse King, the Chinese Dragon, the Russian Bear and more with everyone on your gift giving list. The Nutcracker, choreographed by Stoner Winslett and music by Peter Ilyich Tchaikovsky, will be at Carpenter Theatre at Richmond CenterStage December 14-23, 2012. Save 15% on tickets for selected performances of The Nutcracker, available online at RichmondBallet.com or 1-800-514-3849 with code “STONYPOINT.” Discount valid until 11/30/12 on price levels 2-4, cannot be combined with other offers, and is not valid on previously purchased tickets. Only valid for the following performances: 7:00 pm performance on 12/15, 12/18, 12/19, 12/21 and 12/22 and 4:30pm performance on 12/16. Concert Ballet of Virginia – A full-length presentation (approximately two hours long, including intermission). This colorful production of the enchanting holiday favorite has received praise and positive responses for its ability to charm and entertain audiences from age three to adult. Via Babies R’ Us Facebook page, go here to print a coupon for $5 off any purchase at Babies R’ Us or Toys R’ Us. Coupon is valid in-store through 8/16, and excludes some categories such as diapers and wipes. The barcodes are unique for one-time use. Also available on Toys R’ Us Facebook page here. If you didn’t go for the 2 for $10 sale last week, this week you can go here to get a 2012 Entertainment Book for $5.99 plus $1 shipping. The 2013 books will be released in about a month, but the 2012 coupons are valid until November 1, so you’ll have about three months to use them. You can also shop through a cash back website like Mr. Rebates, which is currently offering *30% back* on your Entertainment.com purchase.